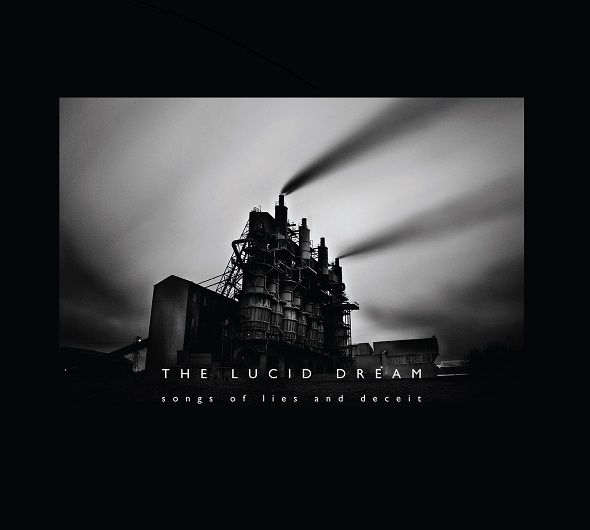 The Lucid Dream were formed in Carlisle, Cumbria, in the far north of England, in 2008. Fused by small town boredom and a mentality to break the mould they siphoned the spirits of key influences, such as The Jesus & Mary Chain and Spacemen 3, to suitably shape their live repertoire in an old textile factory, overlooked by a disused gas works. Initial releases between 2010-2012 (Erbistock Mill EP), and 3 sold-out 7" singles (Love In My Veins, Heartbreak Girl, Hits Me Like I'm Stoned), gained significant praise from the likes of The Fly, NME, BBC Radio 2 (Steve Lamacq's 'Listeners Tip of the Week') and Frank Skinner (Absolute Radio); along with major support from BBC 6 Music (Nemone 'Record of the Weekend', Lauren Laverne, Gideon Coe, Tom Robinson). The debut album, Songs Of Lies and Deceit, was recorded at Ghost Town Studios, Leeds, with producer Ross Halden. Initially the album took shape via the recording of two 7" singles, (Love In My Veins, Heartbreak Girl), before sessions lasting up to 5 days, mostly recorded throughout the early hours, shaped the album. Opened by How's Your Low When You're Low Alone?, a 6 minute sonic attack, revolving around 2 notes, it’s a track influenced by the band’s passion for New York revolutionaries Suicide, and Primal Scream circa XTRMNTR. Merging into Glue, both tracks touch upon social commentary, as well as a nodding to the works of Edinburgh novelist Irvine Welsh. The white noise that opens the first 9 minutes of the album is by no means indicative of the album as a whole. Tracks such as In Your Eyes, Love In My Veins, and Heartbreak Girl ultimately owe more to the psych pop of The Stone Roses, The Byrds, The Ronettes and C86 era Primal Scream. Elsewhere, Heading For The Waves was influenced heavily by a love for the genius of Liverpool bands like Shack, The La's and The Coral, while The Twilight Endpays homage to the influential guitar playing of The Verve’s Nick McCabe. The album is wrapped up by the 9 and a half minute track, Sweet Hold On Me. A fixture of the live set since its creation, the track mixes Space Rock, Gospel, Psychedelia and white noise. It was the obvious choice to close out the record, showcasing the band’s adeptness with multiple styles. The Lucid Dream will tour in May through to August. For tour dates, see their website.